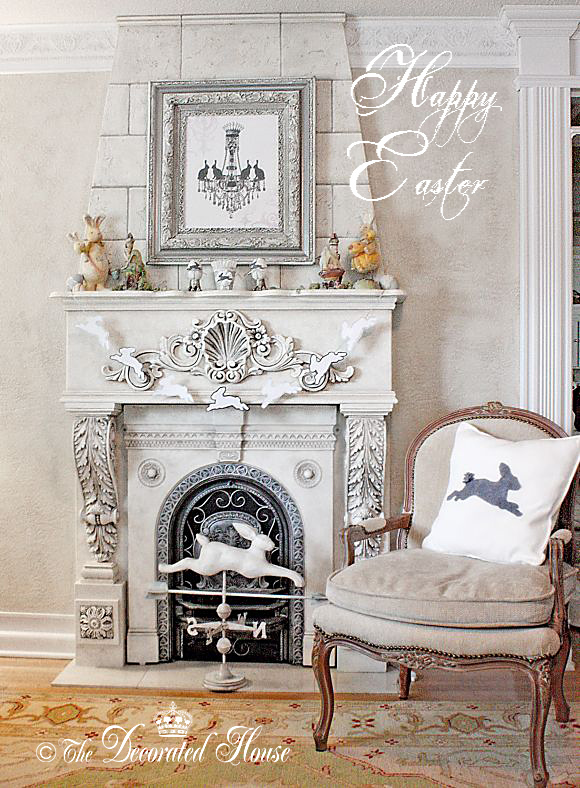 The Decorated House: ~ Happy Easter! The bunny on the white pillow is made with gray felt, and he has a little fluffy bunny tail made by cutting some short strips the felt for a pom-pom effect. It's a fun addition for Spring and Easter. Exquisite mantle decor, dear friend!!! Thank you for coming by. It's so nice to share my Easter with you. Happy Easter to you and your family. Perfect Easter touches. Wishing you a Happy Easter as well Karen.